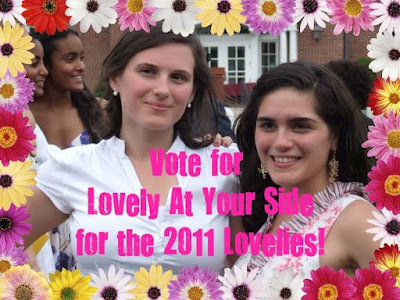 Click through to vote for Lovely At Your Side in the 2011 Lovelies. "Like" the post and comment- Lovely needs your votes! Please and thank you!